Often local businesses call me at my You Can Be Found consulting company and ask how to show up in Google for their local searches, such as “product or service offered” followed by “town in which they do business”. This comes down to taking advantage of local search, or those maps that pop in search with different businesses and pins on them. There are a number of factors that you need to take advantage of in local search, and I tell them if you want to help yourself, at least cover the basics. Secure your Google local business listing: Go to Google Places for Business or Google My Business or whatever they decide to call it this month. They change this a lot. I typically just Google “Google places for business” and you will find it. Go through the process of telling them about and claiming your business listing. Be sure you pick and use a business name, address, and phone number that you can use over and over. That is an important part of this. Don’t try to outsmart Google. Use the name your business would use when you answer the phone. Don’t try to load the name with keywords. That doesn’t work anymore. Spread out your NAP: A big factor in local search is your Name, Address, and Phone (NAP) citations. This is the number of reputable local databases that show your consistent NAP. Choose to get in the big local databases like Yelp and Merchant Circle, etc. It helps to go out and claim listings in major core databases like Acxiom, Localeze, etc. My company helps local businesses be sure they normalize their NAP’s in all of the important databases for a pretty reasonable price, but you can go out and do it on your own. If you are buying or taking over a business, be very aware if your business has inconsistent NAP listings spread across the internet, as they can hurt you. Online Reviews Matter: Reviews are helpful and they matter, but they are also all relative. Just like everything else that helps people in Google, there are industries built up to do fake reviews and try to cheat the system. Don’t do this. It will hurt you in the long run. Review success is relative. If your leading competitors have three, it would help if you had five. Don’t go out and get 30 in a day. That is a red flag. Just bake it in to your process. Just get used to asking your good clients to leave you a review. Though Google reviews will help Google the most, having a mixed bag of reviews across Yelp, Google, Yahoo and other places is better long term for your business. Let your customers leave reviews in the places that are comfortable to them. Your Site SEO Strength Matters: Because inbound links to your site are important to SEO, they are also important to local search. There was a time when your local search presence and your organic presence were somewhat separate but those days are over. Your organic search strength is now a key factor in your local search presence. Make sure you get those reputable links that you can. Get Accredited with the BBB. This is a nice, solid reputable link to have and build your strength. Make sure you secure links from existing relationships: You’d be surprised how many clients are members of chambers or business organizations but forgot to put their link on their profile. Make sure you have any easy link that you would automatically get from our off line relationships. Announce your business with an online press release: Online press releases can give your organic presence a shot in the arm. Announce a new service or business opening through a reputable online release service. 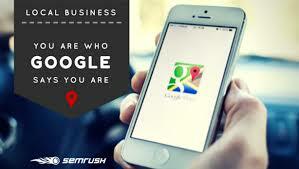 These are some simple basic steps to follow to at least get you going with a presence in local search. Of course we can help you do this or take it to the next level, but in some less competitive markets, this can be enough to get you where you want to be. Good luck!